This is my take on the Animal Magic challenge. 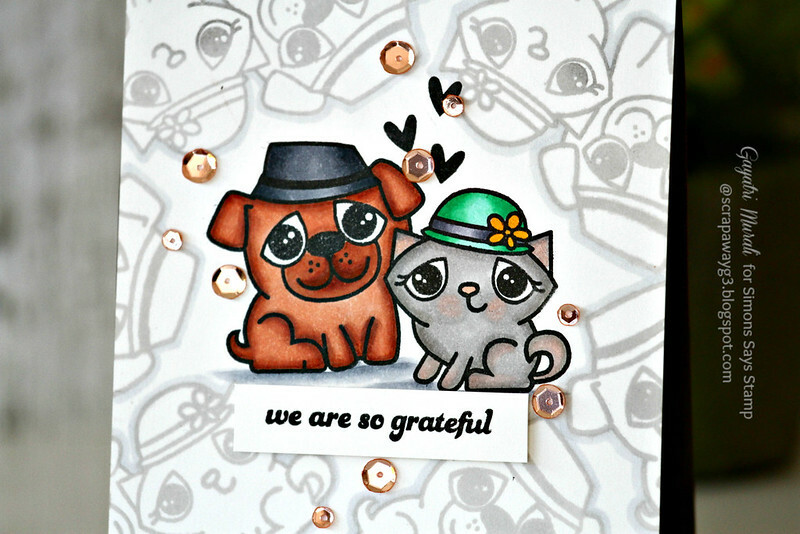 I have used We Adore You stamp set from Paper Smooches to make my card. My card is nearly one layer. I stamped the focal point image using Simon Says Stamp Intense Black Ink and stamped the rest of the background with the same image with Simon Says Stamp Fog ink. I copic coloured the focal image and outlined the background images using C1 marker. I grounded the focal image and adhered the sentiment strip using foam adhesives. I embellished with Rose Gold 6mm and 4mm sequins from Pretty Pink Posh and adhered the panel on brown card base. I tried to colour the dog image on my card similar to my dog colour. This is Charlie, my third child. Totally pampered pooch at home. We love him and cannot imagine life without him. This card is AWESOME! I totally want to CASE it … LOVE! 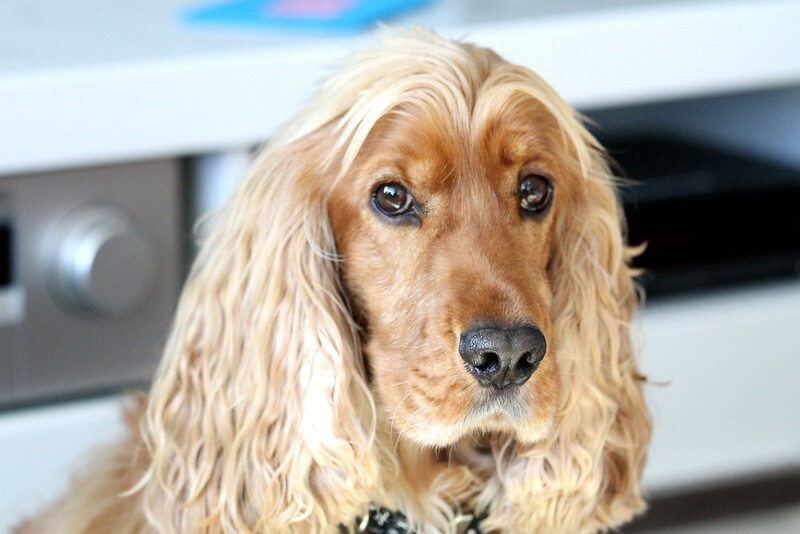 love the bkg.. beautiful dog (your dog)! Totally GORGEOUS design!! I love it, Gayatri! Very pretty and your pup is adorable! Gorgeous Gayatri. Love the little dogs and Charlie looks so handsome. A gotgepus card Gayatri, a lovely design with the beautiful background and wonderfully coloured images and sequins!! Charlie is adorable such a cutie!! Love how you did the background of these two cuties! So cute! 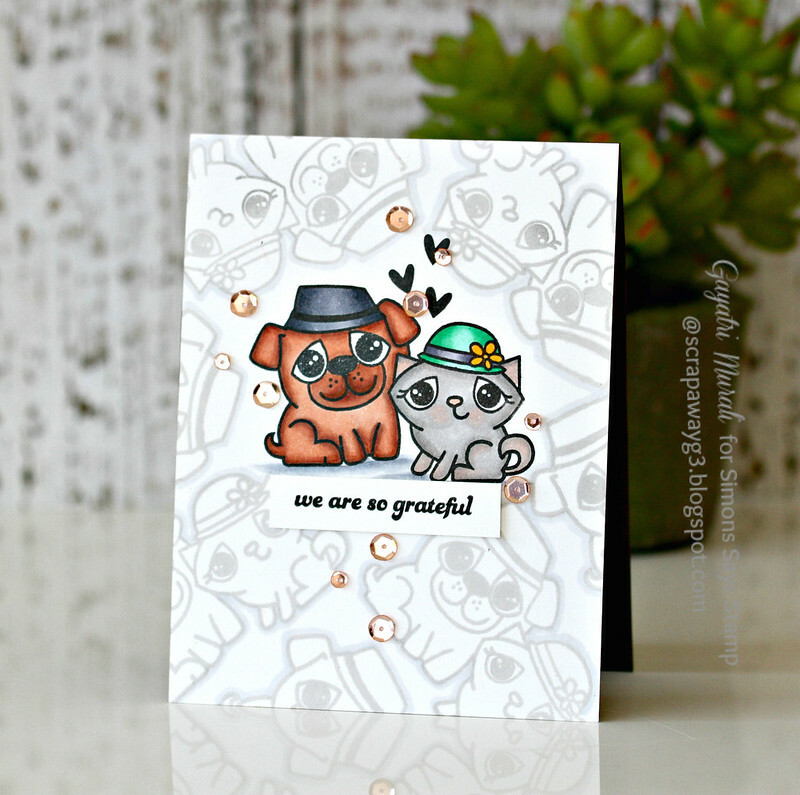 I love how you used your focal point stamp to create the background!